The ORIGINAL handmade, heat tempered, acrylic picks with FAT TONE, FAST ACTION and SUPER GRIP. A carefully calculated bevel and unique blend of acrylics create the most articulate, and slip-resistant plectrums you have ever played. We have the perfect pick for you! Electric guitar picks, Acoustic guitar picks, Mandolin picks, Gypsy Jazz, Bass, Dulcimer, and Therapeutic picks for players with injuries. CARLOS SANTANA, STEELY DAN and AEROSMITH all play V-Picks, and for good reason. 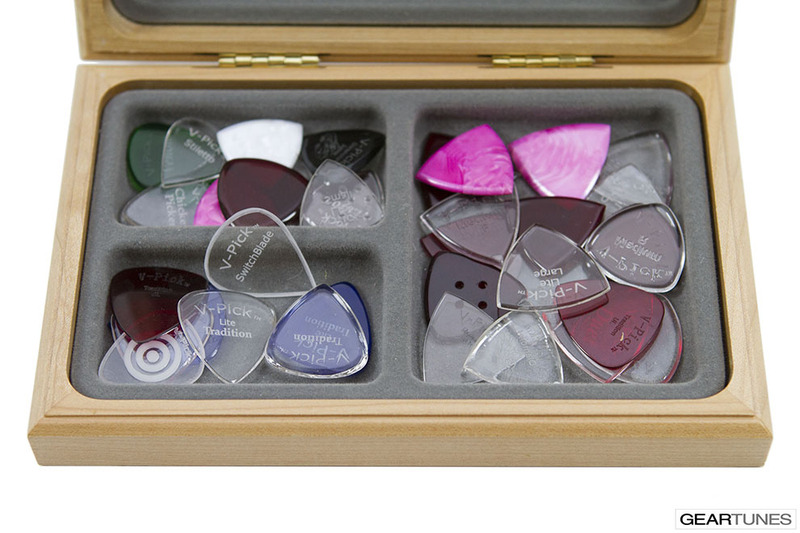 V-Picks are simply the best guitar picks made!